Good news for the thousands of workers at the Windsor Assembly Plant. Fiat Chrysler Automobile President and CEO Sergio Marchionne announced they will build the next minivan-type vehicle at the Windsor facility. Marchionne made the statement Monday during his annual news conference at the North American Internatinal Auto Show in Detroit. During the news conference, Marchionne confirmed a story CTV News first shared in November – that the Dodge Grand Caravan will end production by 2020. “For technical reasons, it needs to come out of production in the next two and a half, three years,” said Marchionne, who wouldn’t comment on what that next vehicle may be. Rumours suggest it may be a crossover. In 2015, Fiat Chrysler spent more than $2-billion to retool the Windsor Assembly Plant. “What we have stored for Windsor is for sure a replacement for the caravan,” said Marchionne, who added the Pacifica architecture is “light years ahead” of the older minivan version. Marchionne also noted since the WAP has the capability to build a hybrid version of the Pacifica, it is all the more reason to build the next minivan-type vehicle in Windsor. Last week, FCA announced it would move pickup truck production from Mexico to Warren, Michigan. It’s a move that stabilizes about 2,500 American auto jobs. Marchionne stated they never talked to U.S. President Donald Trump about the move, but he admitted Trump’s tax reforms did play a role in the decision. Marchionnne also stated that he would not want to change the North American Free Trade Agreement. Talks aimed at a new trade deal have gone nowhere, and the U.S. President has threatened numerous times to pull out of the agreement. 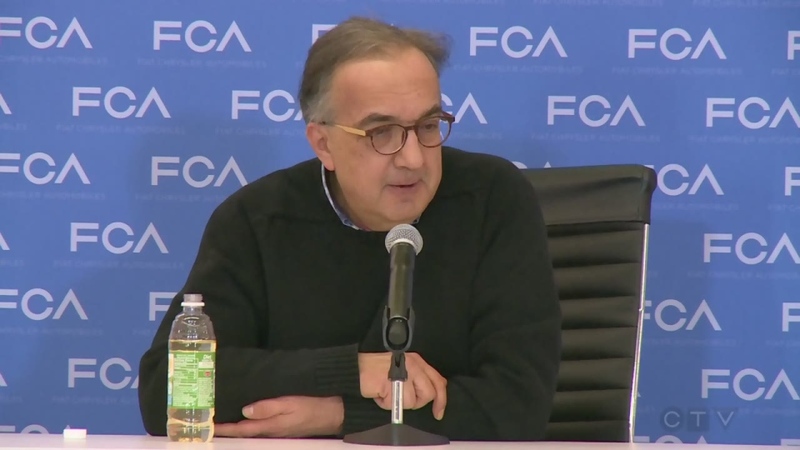 Monday’s news conference may have been the last for Marchionne at the Detroit auto show. He has already announced his intentions to step down as leader of the automobile company at the end of the year.